Bee's Circus: 581. 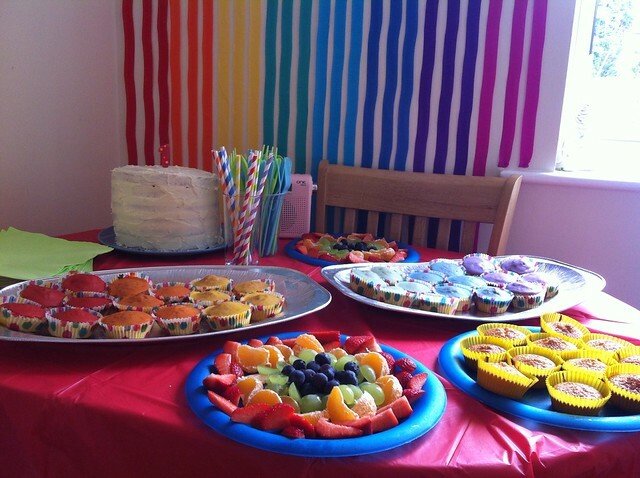 Joshua's 1st [Rainbow] Birthday Party. To celebrate my baby boy turning one, we had a little tea party. 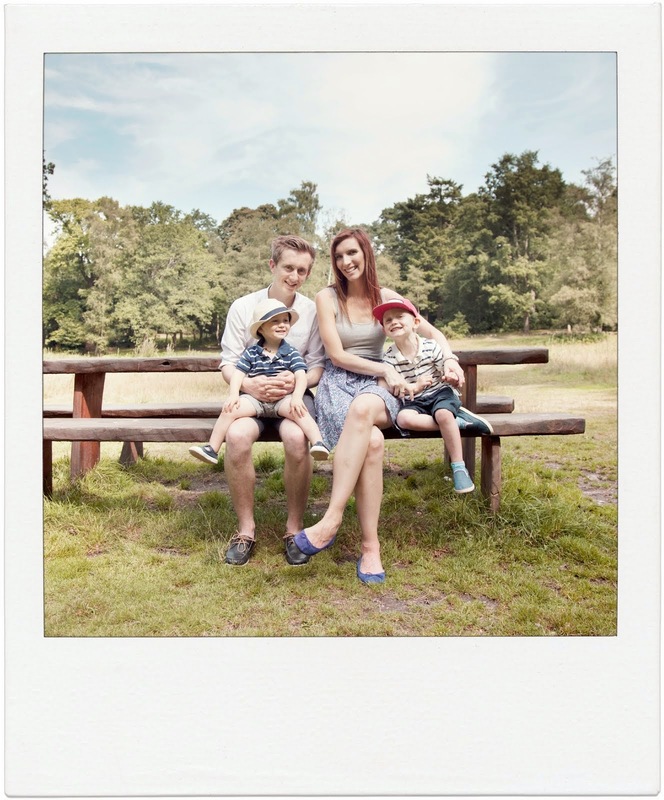 I didn't want the stress (& the cost!) 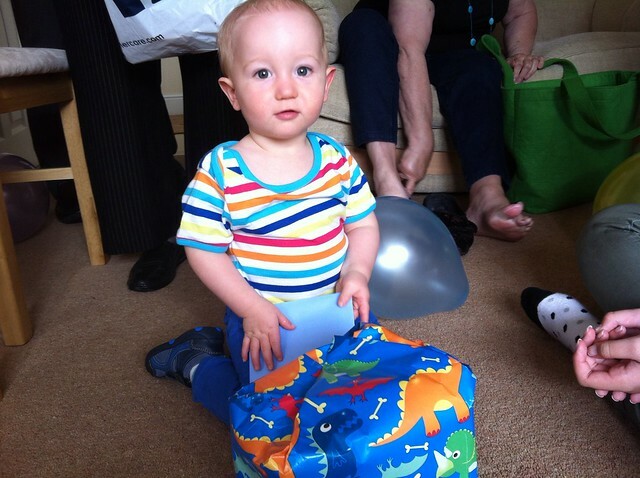 of a big party, especially after his Christening last month. I decided on a rainbow theme, easy and fun, & I could go as small or big as I liked. I bought crepe streamers, a table cloth, balloons and a bunting banner from eBay, and trawled Pinterest looking for ideas. 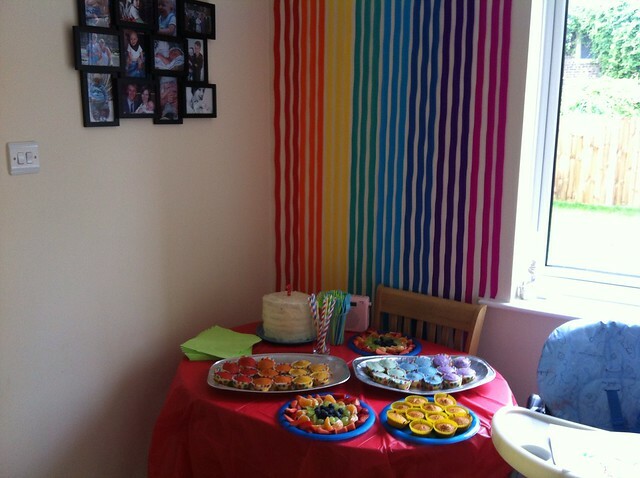 A rainbow-layer cake was an obvious choice, iced cupcakes & a fruit platter (& lemon cupcakes, just because) I printed pictures from our monthly photo 'shoots' & strung them into a banner with some ribbon, which I plan on putting up in Joshua's bedroom. 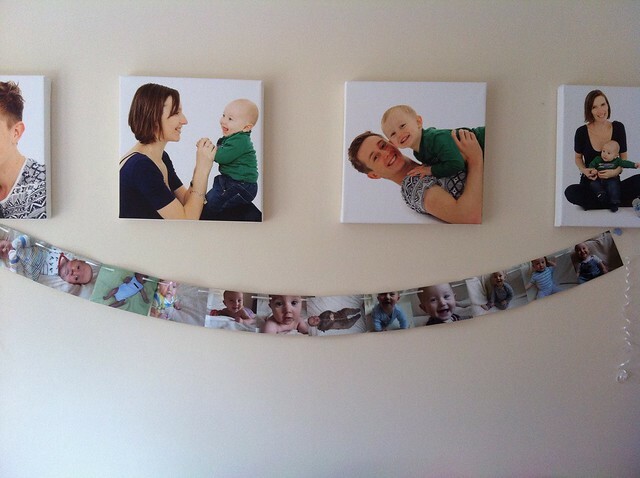 I loved the streamer wall, so easy and so effective - I just stuck them to the wall in strips with blue-tack. 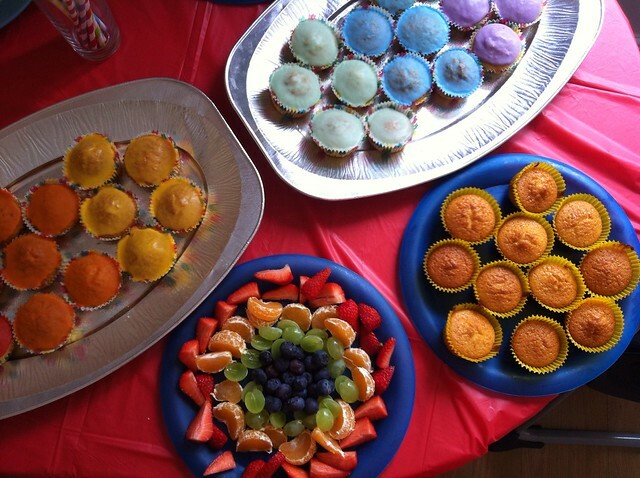 I was really pleased with the party, I wasn't rushing around panicking beforehand, the prep didn't take long & I did as much as I could in advance. 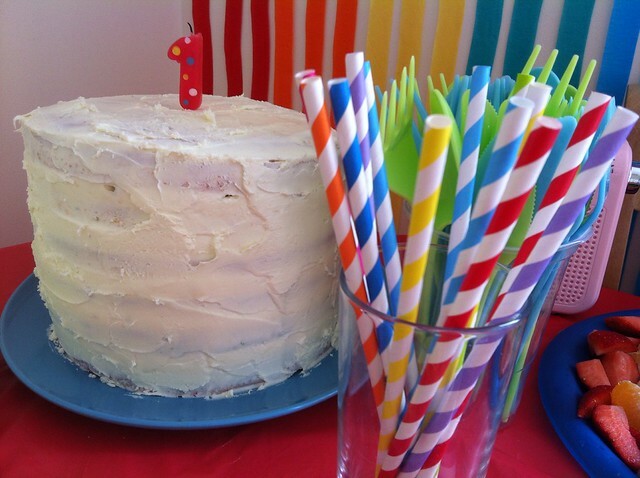 A wonderful day, everyone sitting around drinking tea & eating cake, kiddos playing in the garden. Simple, but perfect. I've been looking at party ideas for the boys tonight. I can't decide what to do! I love this! Everything goes together so nicely.